The William F. Cribari bridge is all over the news. Plans are meandering and/or plowing ahead for reconstruction. Meanwhile, emergency repairs will begin soon. And there’s a brouhaha over the recent spate of rush hour closings, in order to accommodate a boat moored just north of the swing span. A discussion rages in the “06880” comments section: Is the 136-year-old bridge historic? Or just old? We’re not sure what the future holds. But whatever a renovated or new bridge looks like, one thing is sure. It won’t have trolley tracks. This entry was posted in Friday Flashback, Saugatuck, Transportation and tagged William F. Cribari Bridge. Bookmark the permalink. The Bridge was rebuilt in the late ‘80s. Just curious why it is in such disrepair now and who is responsible, a question that never seems to be asked ! The way some people drive, those tracks might not be a bad ideaIxm thinking back to the last renovations which left many of us asking, “Couldn’t they have just kept the temporary bridge in place? to get past at high tide. It’s listed individually on both the Connecticut State Register of Historic Places and the National Register of Historic Places; it’s listed as a “contributing resource” in the Bridge Street Historic District; it’s the gateway to the DOT-approved State Scenic Road (which was established owing to the quality and quantity of historic resources along the route) and it’s listed in DOT’s own inventory of historically significant spans in the state. Seems like maybe it’s historic. This may be a frivolous idea, but why not, in some other suitable location, create an exact replica using current standards, materials and technology, then install whatever footings and foundation needed and put that new bridge on a barge, float it to the location, remove the old bridge and supports and install it with a crane? Or helicopter? 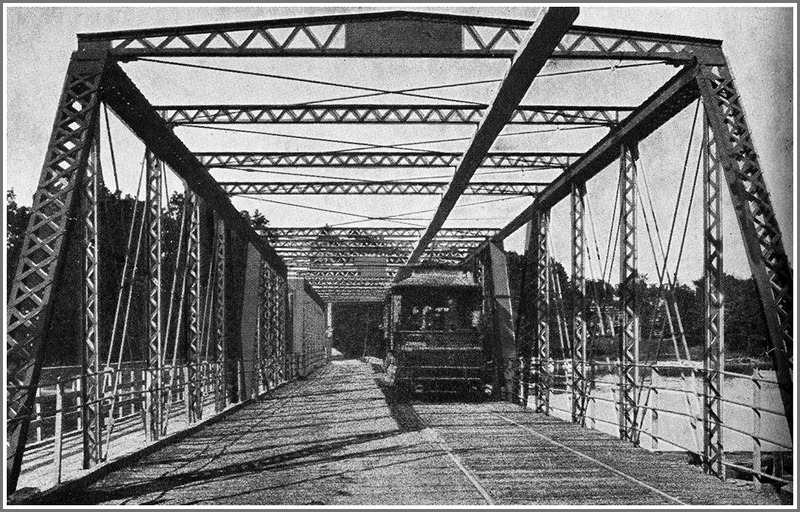 That a swing bridge exists there now was predicated on the necessity to allow for commercial water traffic to reach downtown Westport in the day. That day is long gone. Mrs. Bradley, I believe some have suggested repurposing the truss system of the old bridge by the save the children project as pedestrian bridge connecting the new development on the western shore to the eastern shoreline of the downtown area. Robbie, it sounds to me like you’ve possibly been talking with Dewey Loselle – appointed by Selectman Marpe to chair the Downtown Plan Implementation Committee (DPIC). Mr. Loselle has some interesting members on his committee. One of them works for the company DOT hired to design the concrete replacement span for the Saugatuck Bridge. But I digress. Any talk of town funded dredging, barge restaurants, water taxis and related pie-in-the-sky boondoggles is, at this point in time, delusional. Can you imagine the appropriation process? We don’t have money for School Resource Officers, but millions to dump the PAH-laced toxic sludge from the Saugatuck into Long Island Sound gets a green light? The next time Mr. Loselle shows up on your porch with promises of pork, tell him you want it in writing. Morley, Sadly I haven’t had a chance to speak with him ever, soon im sure. As for toxic river sediment , the only area found to be an issue is under the 95 bridge where all the paddlers are, maybe they should be banned from paddling kayaking swimming and slashing in that spot. You guys need to step up and protect this historic waterway, I mean In the 1800s tall ships sailed all the way to downtown , its an iconic river with a lot of history . Hell look at the paintings in town hall. As it happens, courtesy of the Freedom of Information Act, I have a complete copy of the recent Army Corp of Engineers soil test results for the lower Saugatuck River below the Post Road. It clearly indicates all test site locations – together with an analysis of what was found at each. Let’s put it this way, after reviewing the report, I would especially not want to mess with the soil in the river up near the former town dump (current Library/Levitt Pavilion site). Or slightly south of that location near the west bank. Well thats not great news ,that said …do we let it finish silting in? Im under the impression once its dry at low tide it can no longer be considered maintenance dredging, my guess is that’s not into far away, I mean are you suggesting thats it for this river? I don’t see a viable option at this time. Well I do, Im about to get on a remediation crew on the Norwalk river, The state is contracting full excavating from shoreline inward 30′. This is from the draw bridge to the oyster bend marina . That “dirty ” dirt as we call it is being loaded onto barges off loaded on to land to be de-watered , Its then hauled off to be cleaned at an environmentally safe decontamination facility. Marine clean up isn’t much more difficult then classic excavation and the end result is a clean waterway or shoreline. Its time we take care of our resources and not let the past abuse just lie there. In fact…. if its as bad as they say the water has contaminats in it and a clean up must be done. Maybe even a federal inquire for full funding should be looked at as I for one don’t want to river to silt in and mix in with this contaminated sediment, not for one more day. The yardage for a navigable channel is much less then this project in Norwalk , Far less as its only necessary to be 100 feet wide. The town walked away from the roughly 2.5 million dollar tab to dredge a decade ago. Today, I can’t even manage to get the grass mowed at Golden Shadows to keep the vandals at bay. For real. Hence the federal funding, wasn’t that the 1st selectman who passed up on the fed monies back then? That said they found 1.5m for a parking lot. Maybe each river front property owner could be assessed for dredging… like they did with boat owners for Compo Basin? That’s some fresh thinking, Werner. You may need to hire a food taster. Seeing as its a federal waterway id say that’s a difficult sell. That said id consider providing my place as a landing for staging and off loading of the materials if thats what the army corp suggests as environmentally safe plan. Any interest in lending your properties to help the greater good or are you done with your use of the river? We live in one of the wealthiest community’s in the country with very influential members and a small but determined group like yours could do a lot to help, Or not. You don’t need to file a FOIA. You could’ve just asked the USACE for a copy. In any event, the USACE determined the sediment is safe to remove and dump the spoils in the Long Island Sound. The scope of their work was for dredging specifically so I cannot speak to whether the water is “clean” but the Northrop’s seem to think so since they cultivate on the Saugatuck River? Always wondered if they did that with permits or if none were needed? Oh yes, it’s safe to dump that glop in the Sound. Those guys love to say that. Environmental groups will go crazy. Bonnie, as we are both “old Westport” I hate to disagree with you. A new bridge would, as I understand it by law, have to allow for heavy traffic such as 18 wheelers. We both know that when the Turnpike backs up traffic looks for an out. The whole area from Saugatuck to Greens Farms and the Sherwood Island Connector can’t handle that type of traffic. I liked the high temporary span that was in place the last time this span was repaired (25 +/- years ago). Mr. Herman, the replacement bridge concept is a swing Pratt truss span similar in look to what’s in place now , its a very cool bridge and will be set higher , but nothing like the temp bridge we had. The swing span will be more centered on the river and thus allow more gradual approach. its on the conndot site. Again just a concept so local participation (not obstruction) is paramount so we accomplish the goals at hand. The 90’s restoration was a mess . This time we have a chance to get it right. Don’t forget to widen the walkway, and reinstate the wood cap for the handrail. Thousands of Westporters carved notches (for their rods, or poles)) in it, and taught their kids to fish on that bridge. Nope. No wood allowed any more. Not for sidewalks. Not for handrails. Only for State Scenic Road posts. Could we interest you in some delicious concrete? Its locally grown. That trolley used to deliver merry makers to an amusement park on Owenoke! Thank you, Werner. When I was a child growing up on Owenoke my brother and I often played on Cedar Island, then owned by my grandfather and later by my father. Cedar Island was then all trees and brambles, a veritable jungle, with sparse occasional grass patches. In what I remember, at the approximate center of the island, was a very large iron item sunk part way in the ground, shaped like a big round pot with a wide base. It must have weighed a ton or more. We were told that it was the base of the merry-go-round which had been at the amusement park. We never found anything else of interest. For those who may not know “Cedar Island,” it is the large wooded area in Gray’s Creek nestled between the Owenoke Road and Compo Beach Road. Is there any other information on the amusement park on Cedar Island? This is the first I’ve heard about it, I’ve never come up on it through any books. Sounds very cool! Morley, I respect your opinions but this time I’m puzzled by your condemnation of “dumping that glop in the Sound” if it refers to my previous comment on, as a child, finding a big piece of iron on Cedar Island in Gray’s Creek. First, iron is not “glop.” Second, Cedar Island is about 6-7 acres (to my knowledge) of solid upland. Third, the amusement park probably existed around the end of the 19th century at a time when people knew no better and routinely threw anything and everything into the nearest body of water. Even if it had been dragged into the creek pure iron would not be a pollutant, I believe. At least today we’ve taken a baby step away from that. Maybe? Anyone who grew up from birth on the creek and lived there for 60 years, as I did, loves it, reveres it and has always wanted to protect it. Westporters should be grateful to the present owner of this property for leaving Cedar Island untouched, unencumbered and in its natural state for more than 40 years. Oh, sorry for any confusion, Bonny. That’s my bad. My comment was really supposed to be in response to a dredging comment further up. If you scroll up you will see I re-posted it in the right place. As it happens, I was fascinated by your account of the iron artifact that you found on Cedar Island. I really love stuff like that. Thanks, Morley. Got it. I wasn’t really upset by your comment; “just saying”… as we 06880ers say. I probably went on too long on the subject anyway. Confusion indeed! Oh good, Bonnie. Thanks for letting me know. I think the whole Cedar Island amusement park issue deserves more investigation. I wonder if the iron base you discovered as a child is still extant. Undoubtably still there, but it’s probably terribly overgrown now and thus impossible to find. It was located at about the center of the island. And, it’s private property, in any case.